Play More Poker If You Love The Arts? Earlier this week I wrote about the negative impact casino construction can have on the viability of performing arts entities in a region. I mentioned the steps a coalition of performing arts organizations took to mitigate those effects in NY State. Even as I was mentioning this model at the meeting I attended to those discussing the casino related lobbying efforts, I was thinking that a model similar to the one in New York might be attractive to state legislators if they thought they could have gambling revenue replace state funding for arts and culture. This could be a problem for a number of reasons. For a long time state lotteries have been sold as a way to provide funding for education, but the results have often been mixed with some believing the lottery funding has allowed state governments to shift funding elsewhere leaving education funding generally flat. “Some scholars have argued that lottery earmarks provide a net positive impact, despite some fungibility. One study, for example, estimated that a dollar of lottery earmark funds for K-12 education increased per pupil spending by 50 to 70 cents, with the rest of the money being diverted for other purposes. Others have argued that lottery earmarks lead state lawmakers to supplant education funding so much that states invest less in education over the long run. This is because budget decisions are made in context of scarcity, in which allocating resources to one arena of state policy limits the ability to fund other programs. Therefore, when lottery earmark revenue emerges, state lawmakers may use lottery earmark revenue to supplant instead of supplement education funding so that they can free up general fund money for other purposes that matter to their constituents and avoid raising taxes in the process. What also should be considered is social dissonance in this form of funding as recently suggested by James Doeser in The Art Newspaper, regarding the use of lottery proceeds to fund the Arts Council of England. 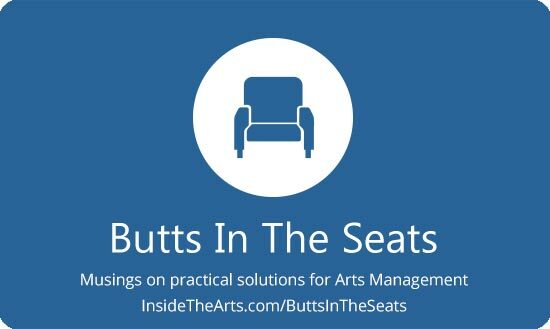 Arguing for public funding for the arts would be much easier if our tax regime were more progressive, and those engaging with the arts more reflective of society as whole…. Thanks to an austerity-induced accounting trick, the replacement of tax by lottery funding means that the least well-off increasingly shoulder the cost of rich people’s pursuits. A lot of well-meaning and progressive people continue to benefit from this arrangement, but it is not fair and needs to be questioned. Which is more preferable when it comes to seeking an increase in public funding, making yet another appeal to supporters to contact their representative about bolstering arts funding or encouraging supporters to play more blackjack?